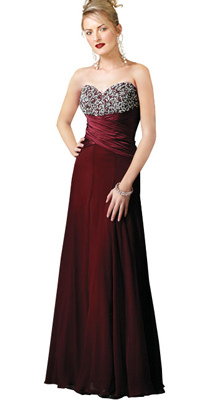 Strapless gowns are favored by ladies who wish to don the look of a celebrity. This strapless dress with a sweetheart neckline will be in enormous demand because of the sexiness that comes free with this outfit. The bust is heavily decorated and the bodice ruched in a crisscross pattern.